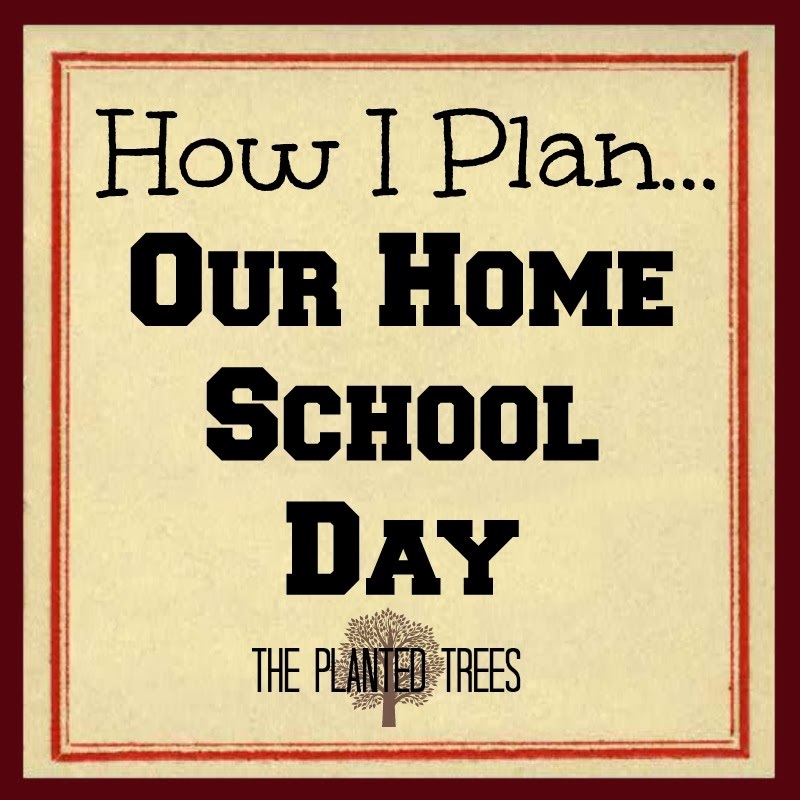 When I just had one child to teach, planning how our homeschool day would flow wasn't that important. We squeezed in lessons during naps or just plopped Little Magpie in front of the television for an hour or so to finish (I admit that I am that mom!). But a trifecta of craziness happened this year to my blissful, no planning, homeschool life: a toddler, two students, and second grade. Monkey was 18 months old when we started school this year, big enough and smart enough to cause mayhem, but young enough to not know that mayhem would be the result of climbing up the bookshelf, dumping out the fish food, banging on the sheetrock with a wrench, etc. Magpie was ready to do school like big sister, and since I did Pre-K with Chipette, I promised Magpie she could do a Pre-K program as well. Since I've never been an elementary teacher, I discovered that the jump in the abilities and expectations for second grade is quite a bit compared to first. Chipette's school day was going to take about an hour longer than it had the year before. Add all of these things together and you get=DESPERATION! 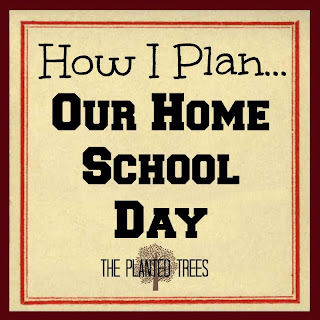 So like any savvy homeschool mom of the 21st century, I hit the internet, scoured homeschool blogs, and developed a plan. Now I share with you what I've learned worked for us this year when it comes to planning our school day. Keep in mind that I am a very visual person, so I need to "see" our day instead of just think about it! Step One: Write down what subjects you want to get done each day for each child and any shared subjects. Use a different colored pen/pencil or different colored paper for each child and another color for shared subjects/activities. I know that on some days, you might do certain subjects and on other days different subjects in that same slot. In that case you would write on one line: art/Spanish/science experiment/math lab. Those are our same-slot subjects. Here is a picture of all the color-coded subjects. Chipette's are on green paper, Magpie's on yellow paper, and subjects/activities they do together on orange paper. I cut them out so I can manipulate them until I get them in the order I want (learned this trick from writing my senior thesis paper in college!). It's easier for me to do it this way than to draw lines and arrows all over my notebook paper. Step Two: Work on ordering each individual child's subjects. I like to rotate subjects between more intense, brain power, sit at the table, kind of subjects (math, grammar, writing, handwriting, spelling) with more fun, creative, enjoyable subjects (science, history, notebooking, art). 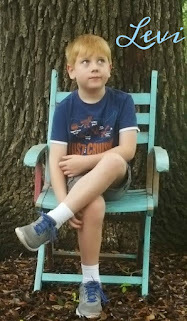 Some parents let their children choose the order they do their subjects each day which I think is awesome, but not feasible for us right now due to Chipette's meltdowns if school takes too long or proves too difficult. She is quite a perfectionist (like her mother), and, yes, we're both working on it! But she likes the way we rotate subjects so I'm not getting any complaints from her...yet. I always put Bible first so the girls know that learning the Bible is the most important thing we will do all day. Then I do phonics (intense), rotation box (relaxed), fine motor skills (intense), read aloud (relaxed), math (intense), and science (relaxed). Rotation box is a category in our Heart of Dakota curriculum, fine motor skills is where Magpie works on cutting, pasting, tracing, etc. to build up hand strength for formal handwriting next year, and read aloud is when she chooses a book and I read it to her. Notice Bible is first again (and always! ), history (relaxed), math (intense), rotation box (relaxed), grammar (intense but short), writing (intense but short), read to mom (relaxed), read aloud (relaxed), spelling (intense), poetry (relaxed), handwriting (intense), and science (relaxed). I explained most of these subjects underneath Magpie's picture, but read to mom is where Chipette reads outloud to me from her chapter book that I have chosen for her. I choose the book intead of letting her because I pick a chapter book that is slightly above her reading level and usually coordinate it with history or just choose a really good classic literature book. I use this time to help Chipette reading slowly, enunciation, expression, and informal vocabulary. Step Three: Decide on your style and goal for each day and move the subjects around accordingly. 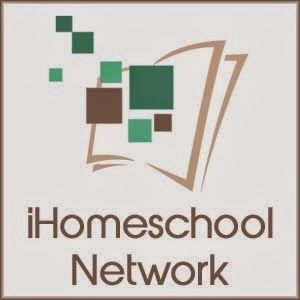 When it comes to how your family's homeschool looks there is no right or wrong scenario. I struggled greatly this spring with trying to figure out how to one day combine all of my children for Bible, history, and science. It is quite common among most homeschooling families to combine children for these subjects. I worked out on paper about a million scenarios of how I could combine them but I never felt at peace about it. Then one day I just realized that my children would not do well combined. They will all be three grades apart once they are all in school and every idea that I considered basically had me teaching them all together from a spine and then sending them off on their own to do follow up work or extra reading. I didn't see how this would save time in my day, so I went back to my original plan to not puposefully combine them. I say "purposefully" because Magpie sometimes joins us for some of Chipette's activities and vice versa. The reason I tell you all of this is because the fact that I don't combine for most subjects is how I plan our day. It actually flows very smoothly. Immediately I notice that Chipette has twice as many subjects as Magpie. This makes my division of the day easy! We always start school with Circle Time. Then I will work with Chipette for one hour, then work with Magpie, and finish up with Chipette. All of our messy, together subjects will be done during Monkey's nap; that's a no-brainer! Just because Chipette's subjects are separated into two specific sets does not mean that it will play out that way. I just have it like that for convenience. I am a timer mom! What I mean by that is the timer is my best friend when it comes to school. I set the timer to one hour for Chipette and we begin to work on her list. When the timer goes off, she is done for that teaching block. I might have her finish the subject if we are very close to being done, but other than that, she is free for her break time. I try to do 30 minutes of teaching time for Kindergarten and the first semester of first grade, then increase to 45 minutes of teaching time for the second sememster of first grade. When Monkey goes down for his nap, the schedule is put on hold and we immediately begin our together subjects even if it's in the middle of Chipette or Magpie's teaching block. I wait until I know he is asleep, then we begin our memory work. After memory work we do art on the first day, Spanish on the second and fourth days, science experiment on the third day, and math lab on the fifth day. Once we have finished our together time, then we go right back to where we were in the schedule. Chipette has a green independent label because once she is done with her two teaching blocks with me, she begins her independent work that is in her weekly binder. I only plan our day around what I am teaching to them. Their independent work (Magpie obviously doesn't have any yet!) is on their own time when we are finished. Independent work takes as long or as short as the child takes to complete it; I do not set a time for them to have it completed (before supper is preferrable! ), but it must be done before they can have screen time. These tell Chipette and Magpie what they are doing while I am teaching the other one: taking care of and playing with Monkey. They don't have to be actively hands-on playing with him, but they MUST stay with him in the backyard, in his bedroom, or in the living room. They are not allowed in the dining room where we school unless someone is severely hurt (blood, bones protruding from skin, etc.). It takes training for sure, but the girls know to stay out of the dining room while someone else is having school time with mom. There are days that Monkey and/or Magpie wanders into the dining room and sits in my lap or at the table with us. I don't make a big deal out of it unless they start to interrupt my teaching time, then they have to leave the room and go back to playing. I usually only display the chart for the first week or two until everyone gets the routine down. And that is what it should be...a routine. I purposefully do not assign specific start and stop times. This schedule works whether we start school at 8 AM *snort* or at 10 AM *more likely*. You just go with the flow! Step Five: Make workboxes work for you! About a year into my homeschooling journey I heard about workboxes. I loved the idea so I immediately started gathering my boxes. After about one month of using the system the way it is outlined by Sue Patrick (the inventor), I was ready to pull my hair out. The boxes took up too much space with just Chipette. I couldn't imagine trying to find a way to fit more sets of boxes into our little home! I also didn't like the way the plastic shoeboxes didn't hold things properly. The books didn't fit into the box. I found online where people used those rolling carts with drawers to replace the shoeboxes, but those things were expensive (!) and still took up too much space for three children. Next, I tried using super huge Ziploc bags filed in a plastic milk crate. We used that system for most of first grade. I liked that the huge Ziploc bags (I think they are three gallon size) fit everything into them. I didn't like that it was a pain to file everything in them each night and by the end of our first grade year the bags had gone by the wayside. I was just piling Chipette's things into the milk crate and telling her what to pull out. But I still liked the idea of letting her know what was on the agenda for the school day (What's next, Mom? When's art, Mom? When will we be done, Mom?). However, I knew that I did not want to be filing things every night for school the next day, and I needed it to take up very little space. So with some inspiration from Homeschool Creations, I created my own workbox system for people who are poor, lazy, and don't have a lot of space. I made one grid that works for each school day. The grid has sixteen squares on it so that gives you room for sixteen subjects or activites for your child. You can download the grid here. I let each of my daughter's choose some fun 8.5x11.5 scrapbook paper to print it on. Then I laminated it and put velcro dots in each square. The floating art workbox card at the bottom is to let Chipette and Magpie know that art is what we will be doing today during Together Time while brother is asleep. Once they have finished a subject, they remove it from their chart and put it in a plastic container that I keep on the computer desk. After they are done with school for the day, then I "fill up their chart" for the next day. I feel like my system keeps the spirit of workboxes (they can see what they have to do and track when they will be finished), but is not as complicated or costly. Their books and workbooks are stored in their school bins, and they know what to pull out for each subject on their chart. The charts are even clipped to their bins so everything is right at their fingertips. Easy, simple, cheap, and a space saver! I changed the way we use this system this year to combine my workbox charts with our daily routine chart. You can see the awesome result in this post. 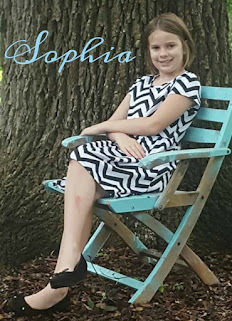 Please feel free to ask any questions about our system and happy homeschooling from The Planted Trees! I have a similar idea to you with doing a checklist as my main part of my workbox system. I do put each child's particular books into a tote bag rather than your idea of a milk crate. Check it here if you like. 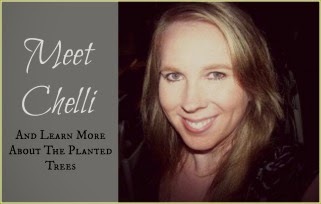 Chelli - I have just worked through you posts and now have such good plan for next year in place. Yay! Thank you so much for sharing all of your wisdom. We are going to try the "brother" card at our house. I am still debating on the "workboxes" but may try it too. Thanks again! I'm so thankful it was helpful to you! Sometimes I write these posts and think that nobody will understand what I'm trying to say. The brother card is definitely the best thing we've done this year. We will probably have to use the brother card again for next school year, but after that I'm hoping the brother card can be phased out. Then I'll have to come up with an entirely new plan!!! Blessings to you and your family, Pam. Very helpful. Thanks! Workboxes didn't work for us. I use a checklist with my DD. I like how your checklist is visual. I like the visual workbox chart as well. Even my non-reading four year old knows what to do! I have a question for you. But instead of writing it out here can you contact me at my email address? I've looked on your site but didn't see a way to contact you directly. Can you email me at kristen@teachingstars.com THANKS! I will email you immediately. And Madam Planner (definitely not Madam Computer Tech!) 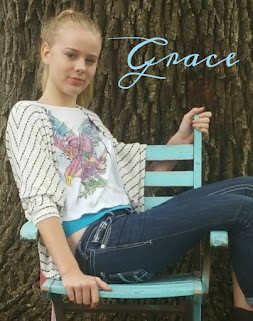 will try to figure out how to add an email address to my blog for people to contact me. The grid system has really helped us out a lot in the day-to-day routine. We love our grid system as well. I never thought about doing a different chart for each day. Right now one chart is plenty for me, but definitely something to think about in the future. And I want to give you a big thanks for sharing your workbox cards. They made putting all of this together so easy! What a great idea! You are so organized, I love it! Thanks! Hopping over from NOBH. You have lots of great ideas here! I love the visual aspects of everything -- for you AND the children!